Color Sign Vertical 8" x 1"
Notice No Weapons Sign | 18" x 12"
Constructed on high-quality, durable aluminum, this USE OTHER DOOR Notice Sign is built to last! Pre-drilled with 2 holes, our notice signs are simple to mount and are perfect for your business. Make sure your customers know which door to use with this bold, precisely lettered, highly visible sign. 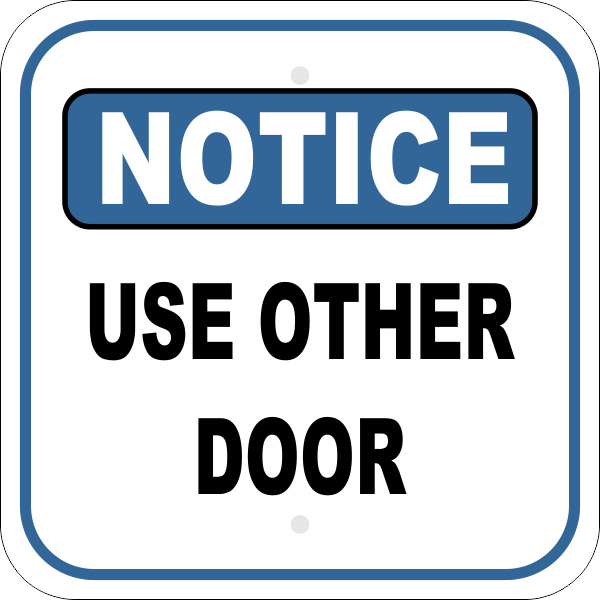 Choose from indoor or outdoor options and order your USE OTHER DOOR Notice Signs here!